•	A notice of Intention to Vacate, or a Notice to Vacate has been given and is set to expire within 14 days. The landlord, agent, or other authorised person may wish to enter the premises in order to show it to a prospective tenant or buyer. They may do so as long as the above notices have been issued and the relevant time constraints have been satisfied. •	The property is set to be sold, or used as financial security for a loan or credit agreement, and the agent, landlord, or other authorised person needs to show the property to a prospective lender or buyer. •	The authorised person is having the property valued – they are able to enter the property for this purpose. •	If the landlord, agent, or other authorised person needs to perform a duty or function applicable to the Residential Tenancies Act 1997 or other relevant law, they may enter the property in order to do so. •	If the authorised person has reasonable grounds to believe that a tenant or tenants have failed to meet their duties as bound by their tenancy agreement, or the 1997 Residential Tenancies Act, then they may enter the property to evaluate that belief and take appropriate action. •	Landlords, agents, and other authorised persons may also enter a premises for the purpose of inspection provided that there hasn’t been an inspection during the last six months and it has been more than three months since the beginning of the current tenancy. •	They must provide written notice at least 24 hours prior to the time of their intended entry. This notice must specify their reasons for entry as well as the time at which they intend to enter. •	This notice must be delivered either in person or by post, and it must arrive between the hours of 8:00am and 6:00pm. At least two days should be allowed for postage if the notice is to be delivered via mail. •	The authorised person may only enter the property under the appropriate circumstances between the hours of 8:00am and 6:00pm, and the visit may not occur on public holidays unless prior agreement has been obtained from the tenant/s. •	The authorised person may not stay at the premises longer than is reasonably necessary under the circumstances. If the current tenant has agreed to permit entry within the last seven days, then the landlord or other authorised person may enter so long as they inform the tenant of when they intend on doing so. If all the above criteria have been satisfied, then the tenant is required to permit entry to the landlord, agent, or other authorised person, even if the time of their visit is not ideal or the tenant won’t be home during the visit. With this in mind, tenants are free to negotiate a time that suits them with the landlord, agent, or authorised person. The authorised person is required to act in a reasonable manner upon entering the premises, and they are required to leave as soon as the reason for their visit has been satisfied. If a landlord, agent, or other authorised person enters a residential premises without following the above procedures, it may constitute a criminal offence. All entries by non-residents are required to be made upon the basis of a reasonable excuse and appropriate procedure as laid out under the Residential Tenancies Act 1997. If the property is damaged during a visit by the landlord, agent, or authorised person, that person is liable for the damage and may be required to provide compensation to the tenant/s. If an agent, landlord, or authorised person consistently and persistently exhibits harassing behaviour towards a tenant, that tenant may decide to terminate their residency and move out of the property. If the tenancy is not bound by a fixed-term agreement, the tenant is simply required to provide the agent or landlord with 28 days written notice before moving out. 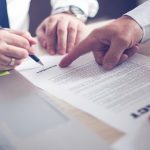 If the tenancy is bound by a fixed-term agreement, such as a lease, then the tenant is required to serve a 14-day breach of duty notice to the landlord or agent. If they refuse to comply with this notice, the tenant may seek enforcement by obtaining a compliance order from VCAT. If the harassment persists, tenants are advised to take legal action or obtain events from the residential tenants union that serves their area of residence. In the event of such unfortunate circumstances, the tenant may be eligible to receive compensation for inconvenience, loss, or damage resulting from the failure of the landlord, agent, or authorised person to respect the tenant’s right to quiet enjoyment. Tenants are required to give their landlord or agent a copy of any new keys they have cut for locks installed after the commencement of their tenancy. Changing locks is not recommended as a means of securing privacy or the right to quiet enjoyment, it is always best to enforce these rights through the appropriate legal and civil channels designed to protect them. Tenants are restricted from changing any locks that are part of the premises’ master key system, such as may be found in a block of flats or apartments. If the landlord or agent agrees to such a change, the tenant may do so. But it is unlikely that they will obtain such an agreement. Tenants should note that landlords, agents, and authorised persons are prohibited by law from locking tenants out of a premises unless they have obtained a warrant of possession. Warrants of possession must be enforced by the police. Apply to the police or VCAT if you have been unjustly locked out of your premises. You may need to apply for a restraining order to stop the offender from locking you out again. In the event that a tenant is illegally locked out of their premises, they may incur costs for accommodation, travel, food, and other expenses as a result of being locked out of their premises. In this case, the tenant is likely eligible for compensation and should take legal action against the offending party. •	They may not disclose or use the personal information of a tenant or tenants for any purpose other than those related directly to their dealings. •	They are required to take all the reasonable steps to ensure that your personal information is kept secure. •	Tenants must be informed of what kind of personal information is being stored. In Victoria, all real-estate agents are required to adhere to the Estate Agents (Professional Conduct) Rules 1997. These rules prevent real-estate agents from acting in an unscrupulous manner, and set out a range of procedures considered to be the industry standard for good conduct. 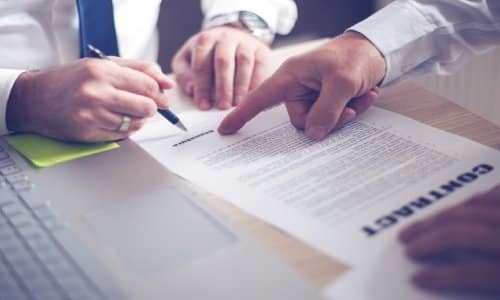 If tenants have any concerns about conduct or behaviour exhibited by their estate agent, they may refer to these rules in order to determine whether or not it is appropriate to take some sort of action against their agent.